Offered to the Church at the age of eight, Hildegard was entombed in a small room where she was expected to live out her days in silent submission as the handmaiden of a renowned but disturbed young nun, Jutta von Sponheim. Instead, Hildegard rejected Jutta's masochistic piety and found comfort and grace in studying books, growing herbs, and rejoicing in her own secret visions of the divine. When Jutta died some thirty years later, Hildegard broke out of her prison with the heavenly calling to speak and write about her visions and to liberate her sisters and herself from the soul-destroying anchorage. 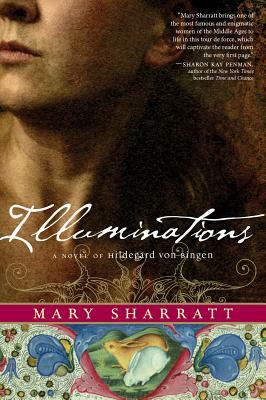 Riveting and utterly unforgettable, Illuminations is a deeply moving portrayal of a woman willing to risk everything for what she believed.